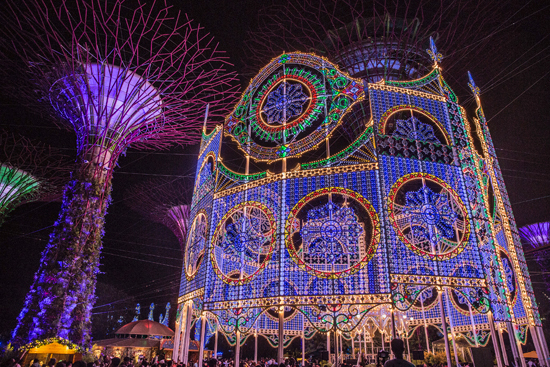 Christmas is gonna get brightly fun at Gardens by the Bay again as it transforms into Singapore's biggest yuletide playground for Christmas Wonderland 2016. 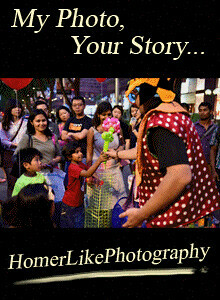 If you were there for the past 2 years, this 3rd edition is bigger and promises more fun events for the whole family to enjoy in this magical forest. 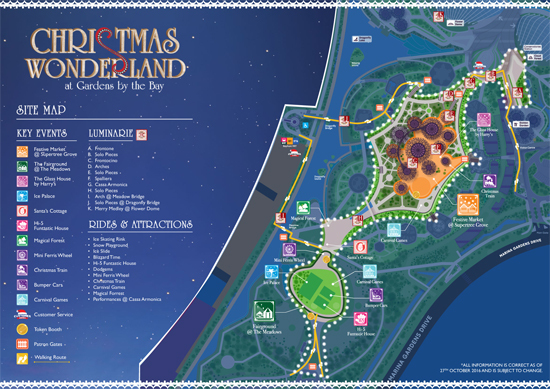 Organised by Blue Sky Events and supported by the Singapore Tourism Board, Christmas Wonderland 2016 takes place from 2 December to 1 January 2017, from 3.30pm to 11pm daily. 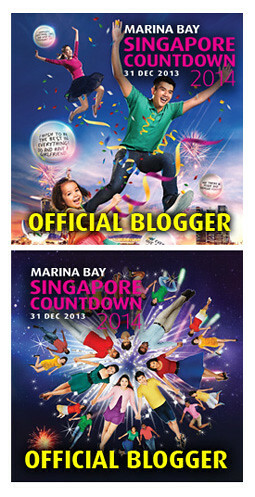 Preparations are in the midst and you can definitely look forward to embark on a festive journey. 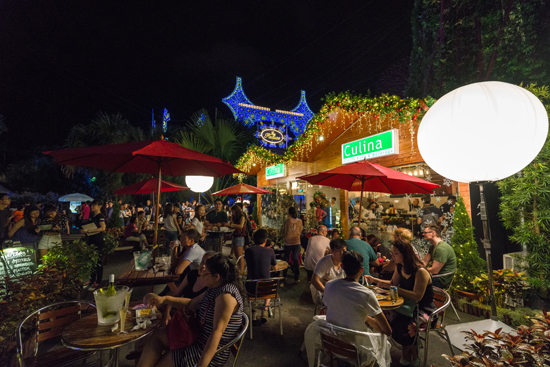 Marvel at the Italian luminarie - Sculptures of Light illuminating the fairground, which has been expanded to 57,000sqm together with experiences for all ages, from wintry fun at the Ice Palace, to the local debut of the Hi-5 Funtastic House to a magical forest of Christmas trees. 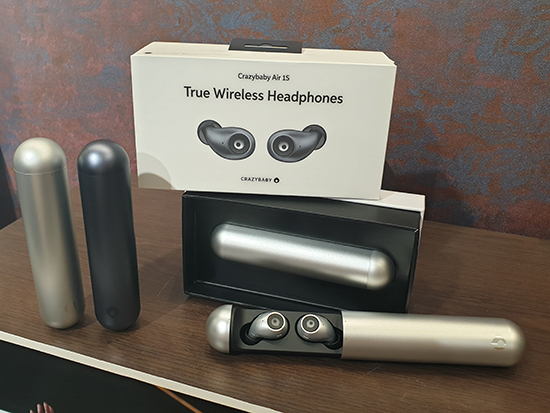 Visitors can also look forward to a bigger festive shopping and dining experience, more carnival games and curated festive performances for a celebration at home like no other. The 19.7m tall Spalliera Castel del Monte is Southeast Asia’s highest and largest luminarie. Its design is largely inspired by its namesake – a 13th century castle and one of Italy’s most striking UNESCO site. Here, visitors can also look forward to experiencing ‘snow’ in the tropics with the daily Blizzard Time. Making its debut at Christmas Wonderland near the Meadow Bridge is the enchanting Magical Forest. 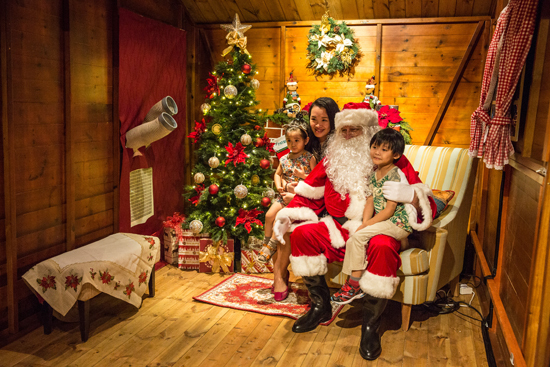 Santa’s Cottage awaits amongst a forest of pine trees adorned with festive baubles, where visitors can meet Santa and bring home a memorable photo. Adding to the festive atmosphere, Christmas Wonderland also presents a complimentary showcase of yuletide parades, choral performances as well as curated singer-songwriter collaboration sessions amongst local artistes such as The Next Movement and Hidhir. Please refer to Annex 1 for the entertainment line-up. 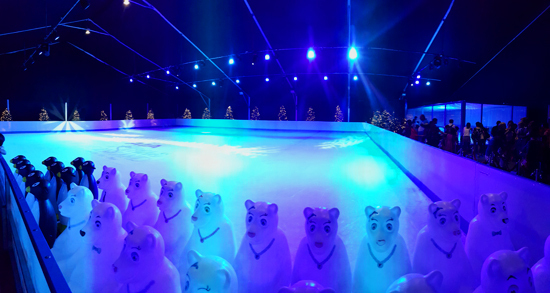 Step into an upsized Ice Palace to enjoy ‘winter’ in our sunny island – skate at the 400sqm ice skating rink, enjoy an all-new 25m long Ice Slide or make a ‘snow’ angel at the 96sqm (double the size of last year's) Snow Playground. 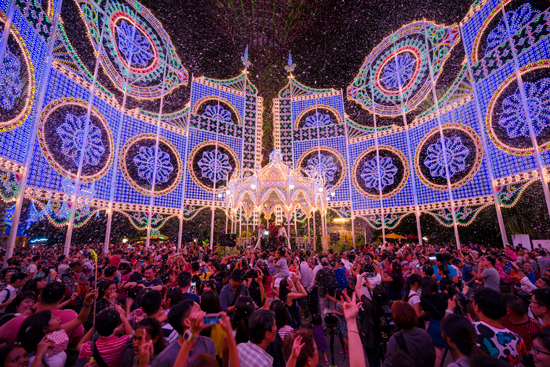 The Hi-5 Funtastic House will make its Singapore debut at Christmas Wonderland is sure to delight little ones with a host of fun activities. Fans of the hit Australian musical group can have a time of their lives at the ‘Ready, Set, Bounce!’ bouncy castle, groove along to their favourite Hi-5 songs and ‘Style It Up’ for the camera in Hi-5 costumes and bring home a memento. 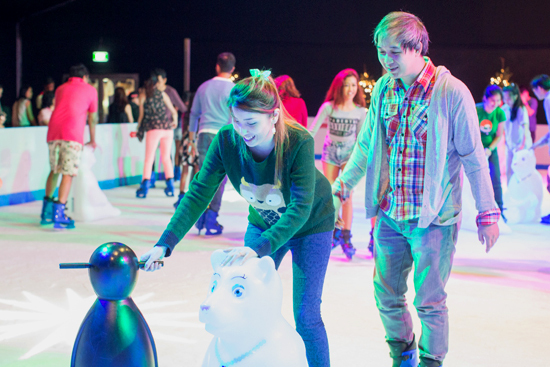 Visitors are encouraged to pre-book their preferred sessions online to avoid disappointment. The ever popular carnival games return with more stalls including ‘Fishy Fishy’, ‘Lobster Pot’, ‘Can Toss’, ‘Ring Toss’ and ‘Hi Striker’ where participants stand to bring home Disney soft toys. Visitors can enjoy an immersive dining experience at an all-new two-storey Glass House nestled amidst the Supertree Grove. Featuring a festive menu specially curated by Harry’s, diners can look forward to festive signature dishes while taking in beautiful views of the spectacular luminarie light sculptures within an air-conditioned indoor setting. The Glass House is also available for private events. Visitors are encouraged to plan ahead and secure their tickets early due to the event’s capacity limit. 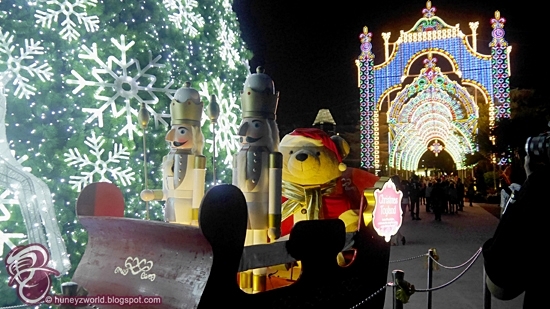 Christmas Wonderland has partnered VISA to offer 25% off the first 1,000 tickets daily. Cardholders will need to purchase their tickets using VISA Checkout and a valid promotional code. 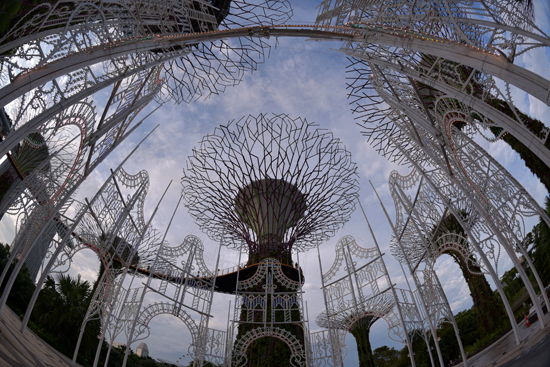 Visitors with tickets to Christmas Wonderland can also enjoy $4 off Gardens by the Bay’s local resident Double Conservatories tickets, and experience the festive season in the crisp climate of the Flower Dome.